This article is dedicated to my daughter, Celeste, an amazing film student who deserves to see more women in Google Image searches for “film director”; my mother, Dorothie, who is my image of a professional icon ; and every child — because I want to live in a world where everyone sees their likeness as they search for what they want to be when they grow up. Earlier this week, I was building out courseware for a career workshop. I needed some images of different professions and career concepts. As a career coach, I’m very sensitized to the power of subliminal messages so I was very conscious to not gender or racially stereotype with the images I selected. 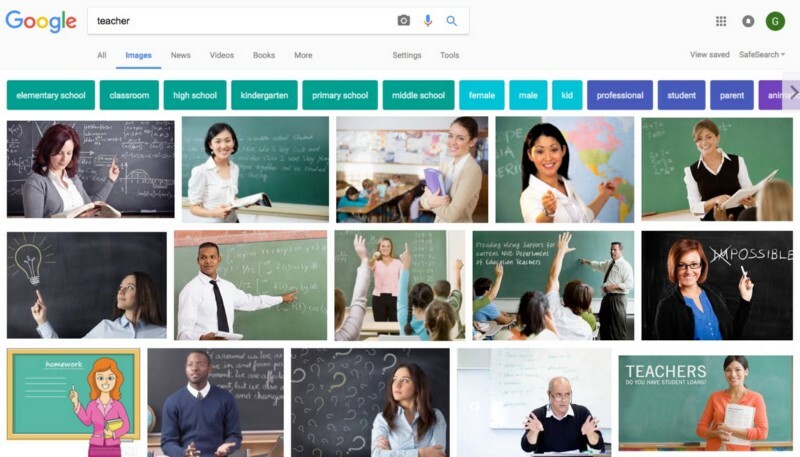 To get the images, I went where any good PowerPoint builder would start— Google Images. 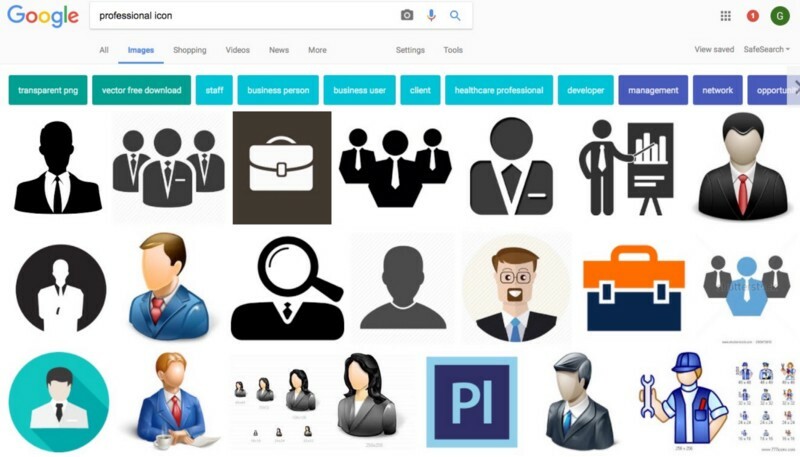 I searched on the term “Professional Icon”. This is what I got. As you can see, it takes fifteen images of men in ties and two briefcases until we get to a single picture of a woman. 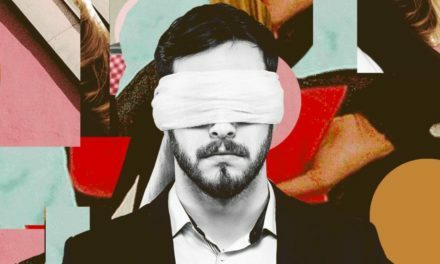 I was shocked that the images didn’t seem to reflect the gender in companies. As I looked for more content the same thing happened, but when I looked up photos of people race also came into play. It went on and on for every term I searched for images on — adventurer, captain, officer, film director. According to Google Image searches, almost every occupation I was looking for was almost all white men. Occupations that were known as “female professions” before equal rights — teacher, nurse and executive assistant are displayed as predominantly female and slightly more racially diverse. As we search for images our brain is looking for patterns to develop an understanding of what something means. 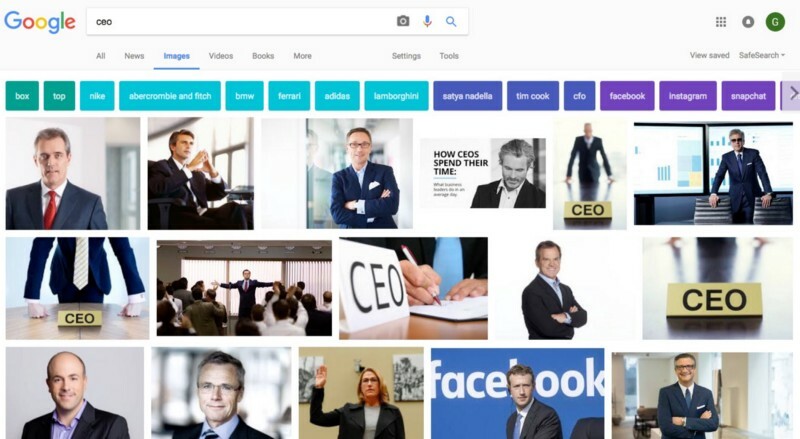 CEO, for example, according to Google Image search, means a white man in a tie looking confident. This pattern recognition is the source of all unconscious bias. After our brain registers the predominant pattern — when we walk into a room and look for the CEO we will automatically and unconsciously (without even thinking about it) look for a white man in a tie looking confident. We will ignore the Latina female who is actually the CEO because she’s not what we expect to see. When its time to hire a CEO, the brains of the board of directors will automatically and unconsciously go to the image of a white man in a tie looking confident when thinking about candidates. They will come up with candidates that are white men who wear ties and look confident first, because we use our unconscious mind first. When children do research for “what do I want to be when I grow up?” projects, they will trend towards jobs they can see images of themselves in. If they don’t think they can grow up to be a white man in a tie looking confident they will be far less likely to be attracted to the idea of becoming a CEO. This perpetuates the status quo which is lack of racial and gender diversity in leadership positions. 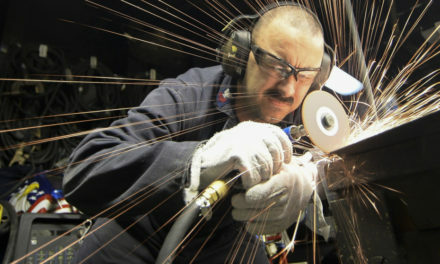 Exercise: To test it out, close your eyes and picture a captain, a mechanical engineer, a terrorist and a drug dealer. As you go through each one, your mind is picturing the stereotype. What’s their gender? What’s their race? What does their body look like? How old are they? What is their facial expression? What are they wearing? Who do they date? You’ll see the stereotype your brain has been programmed with. 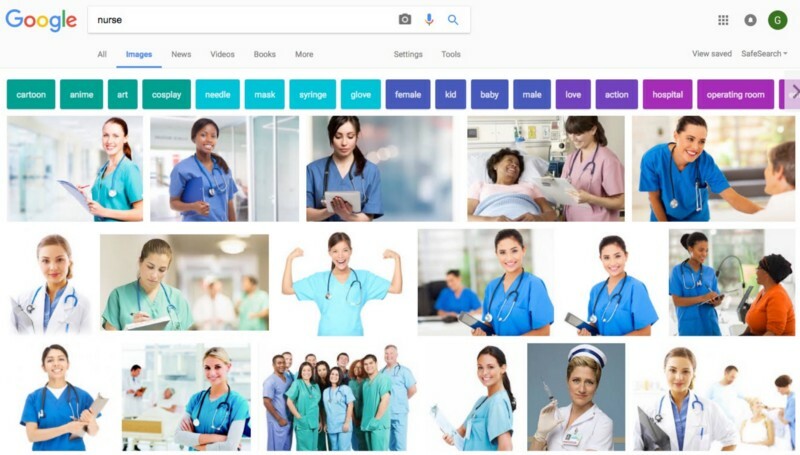 Why are Google Image search results so biased? Initially I thought it had to be the stock photography market and the marketers and advertisers that bought images. I did a ton of research and found some interesting stuff. While the stock photography market contributes, its more of a symptom of the real root cause. The real root cause was so simple and so hard to get to. It was hard to get to because I didn’t want to admit it. Google Images is, for the most part, simply a reflection of the world. As much as we’d like to see better gender balance and racial diversity in prestigious professional jobs it is not there. 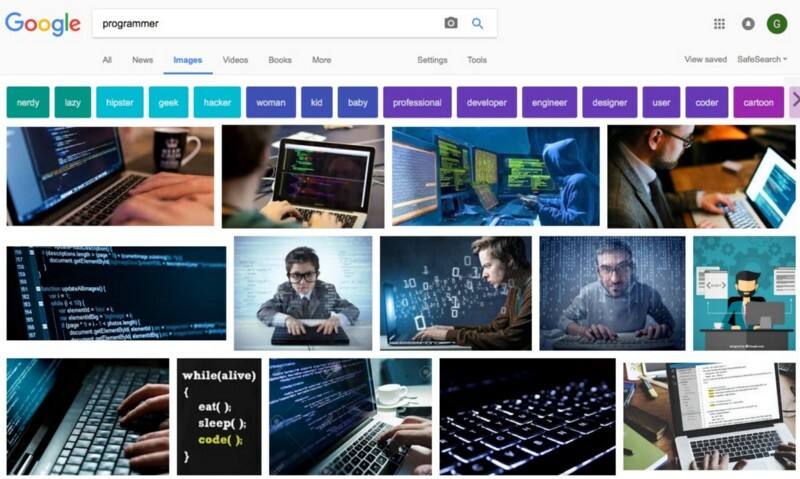 Google Images shows us that. TRUTH: The majority of CEOs are white men who wear ties and look confident. The answer was so hard to get to because I wanted so badly to prove that the world wasn’t that way. When I finally had to accept the truth because the other arguments I was creating weren’t totally defensible I broke down in tears. I cried because I wanted so badly for it to be an easy, fixable problem I could point to and say “Let’s fix that! That will fix it!”. Then I could fix it. The answer I got back was hard because it was the source of a lot of pain in the world. Now, to the white male readers who may or may not wear ties or feel very confident, I’m TOTALLY in favor of you being CEOs. It would make me heartsick to have a little white boy thinking I didn’t want him to be a CEO when he grew up. I want him to be one if that’s what he wants. I’m in favor of anyone who wants to be a CEO having the chance to be one. In fact I am currently supporting some wonderful white male clients to move up in their careers. They should have a chance just like everyone else. The fact that white males have a much much betterchance of being a CEO than everyone else is what really makes me sad. Only 4% of Fortune 500 CEOs are women. Not even 1% of Fortune 500 CEOs are black. And now that Ursula Jones left Xerox, zero black women are Fortune 500 CEOs. There is only 1 Latina CEO of a Fortune 500 company. There are less than 10 Latino CEOs at Fortune 500 companies. Source: UC Santa Cruz, Who Rules America? Now the good news for white women is that despite a couple small dips, there has been pretty steady but small progression in the chance for them to be a Fortune 500 CEO for the past decade even though they comprise under 4%. Everyone else — not such great news. The epiphany that Google Images reflected the world started when I was researching the sources of images for CEO. To complete testing this new hypothesis, I had to look at gender and racial equality for the other professions. I looked up similar statistics for others. 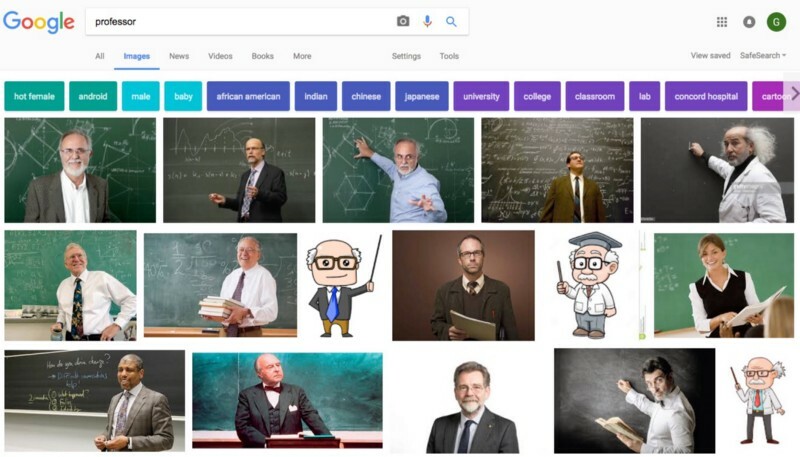 For every question I asked Google about other professions — it gave me back painful statistics that went hand in hand with its image search results of white men working in their prestigious jobs. Let’s look at professor. In 2014, male faculty members held a higher percentage of tenure positions at every type of higher learning institution even though they did not hold the highest number of faculty positions at every rank. (Source: American Council on Education 2016). On average, 75 out of every 100 full-time faculty members at four-year colleges are white. Five are black, and even fewer are Latino (Source: Chronicle of Higher Education 2016). It was a sad but important effort for me because every statistic I pulled up represents a painful reality for huge groups of people. It showed how many people know the deck is stacked against them. 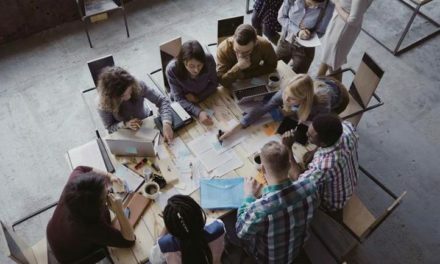 When things don’t go their way at work, people in these groups don’t know if its because they are different or they haven’t done something right. These “groups” are everyone who are not white males. At the same time, I know white males are feeling the pains of being pointed at as priveleged. Once again, I want to support everyone, and that includes white males, of having a fair shake at life. There are other factors, like my original villian — stock photography. And I will write a follow up article about that because I did a TON of research on it and was so eager to just point to it and say, “Let’s fix that!”. But the stock photography market just wants to make money and the truth is it is serving a biased world. This is such a classic chicken and egg challenge. 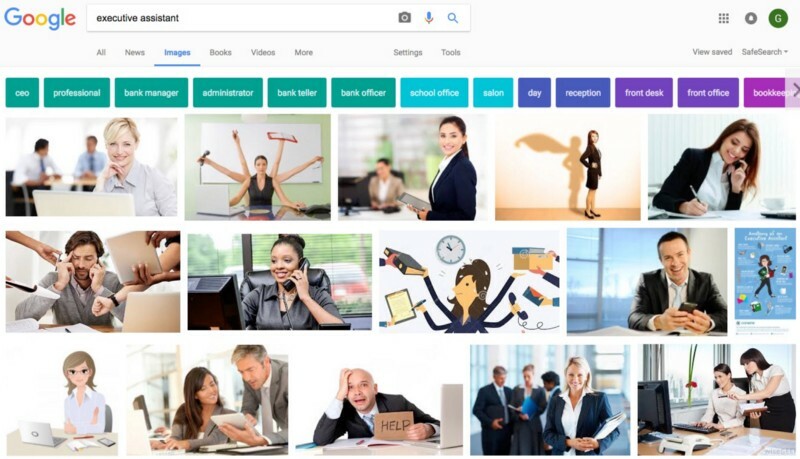 Google Image searches are playing a part in creating unconscious bias to have mostly white men in prestigious well paying professions. But the only reason they show the pictures they do is because inequality is already so deeply embedded in our culture. At this point awareness of the issue is the most powerful thing we can do. This will help us recognize when we are receiving more data that could create bias or when we have data that is biased. Awareness will help us use our conscious minds to expand that image to a more diverse group. We are being programmed that way because its the status quo. We need to put a lot of effort towards changing it. We’ve got to make sure we walk our talk. When our arguments aren’t completely defensible, we need to challenge ourselves to look deeper. That will make sure that we are always looking for the truth — and the truth will help us fix it little by little, choice by choice, and image by image. About Me: I’m a tech executive turned career coach who supports clients in identifying truths that give them stronger leadership, thriving businesses and fulfilling careers. www.gretchenhellman.com.